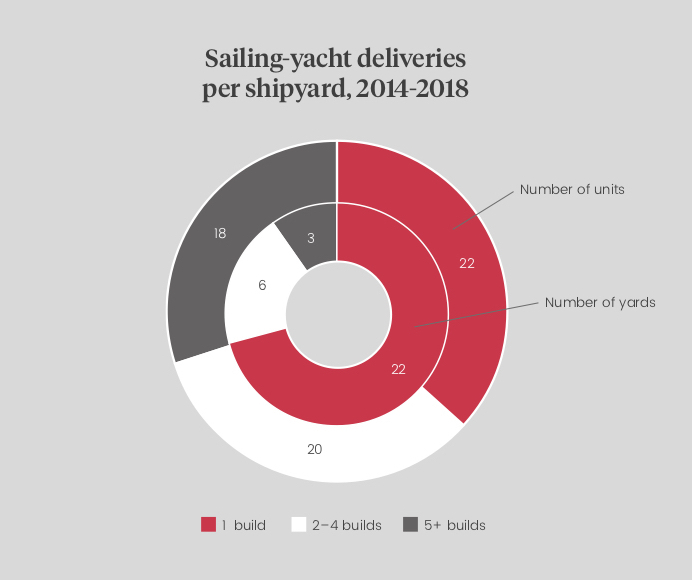 Following a significant drop between 2012 and 2013, the sailing-yacht market’s average number of deliveries over the past five years is 12.2 per annum. While the number of deliveries in 2018 was slightly below this average (the end of the year saw 11 completed deliveries), it is positive for the market that the numbers seem to have stabilised. 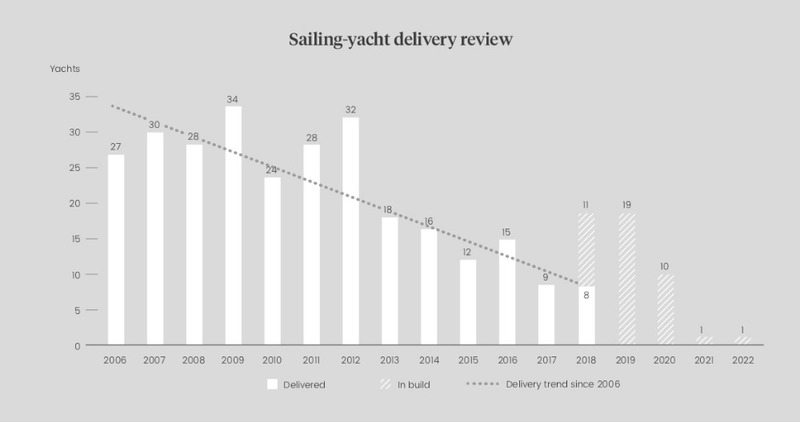 The projected sailing-yacht order book of 19 deliveries for 2019 looks more than healthy when compared to recent years and, if achieved, will be the highest number in one year since 2012, when the market was still enjoying a high number of pre-global financial crisis orders. 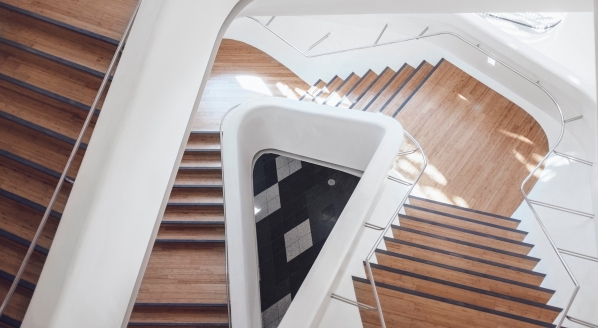 This could be explained by increased movement on the second-hand sailing yacht market over the past two to three years, resulting in a lack of inventory, pushing sailing-yacht clients to look towards new builds instead. However, it is worthwhile to consider the projected delivery numbers with a critical eye. If we look more closely at individual deliveries scheduled for 2019, a significant portion are in build at unestablished, one-off shipyards, which raises doubts as to whether the 19 deliveries will actually materialise. Historically, these yards are more likely to experience financial or operational difficulties in delivering projects on time, if at all. 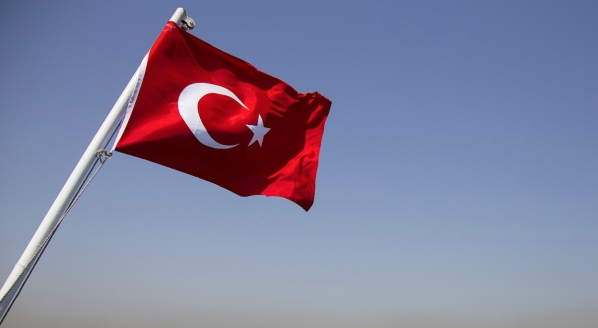 For example, the one delivery on the order books for 2021 is the 141m Dream Symphony project in build at Dream Ship Victory shipyard in Bozburun, Turkey. However, when the project was first announced, the delivery date was scheduled for 2019. Therefore, these numbers might be skewing the sailing-yacht order book to suggest it is on more of a comeback than it actually is. In last year's The Superyacht Annual Report: New Build 2017 sailing-yacht market analysis, it was predicted, based on previous years’ growth, that the sailing yacht fleet would continue to experience a 1.9 per cent year-on-year growth – meaning 986 yachts in 2018, 1,015 in 2019 and 1,025 by the end of 2020. 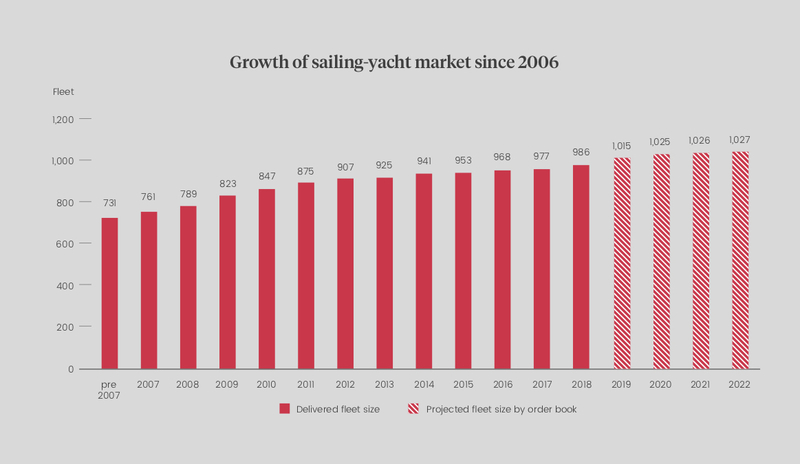 Based on the current numbers in the order book, the sailing-yacht market is on track to achieve this, which confirms that the market is on a modest upward trajectory, and it is expected that more orders will come in 2019 to bolster the order book for 2020, 2021 and beyond. 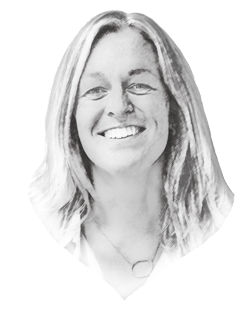 Over the many years of studying the ups and downs of the sailing-yacht market, it has become apparent that the sector is increasingly hard to analyse. 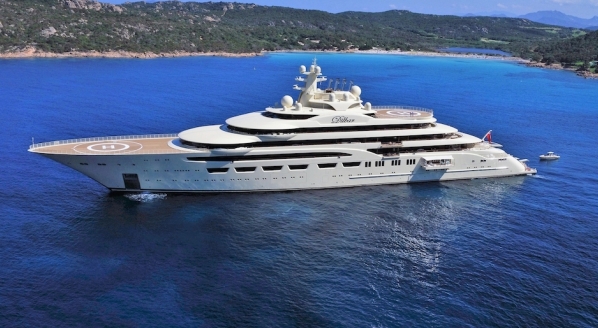 With more and more custom motoryacht builders building large, bespoke sailing yacht projects, such as Oceanco’s 2018 delivery of Black Pearl, these one-off orders can skew the data to create a false perception of the market. If we look at the order book based on size, it is evident that the 30-40m sector that has historically bolstered the market is gradually giving way to the 40-60m sector, which has had more orders in recent years. However, 2019 shows significant increases in both sectors and, in 2021, an 81m project will be delivered by Royal Huisman – the first delivery in the 60-90m segment since 2016. 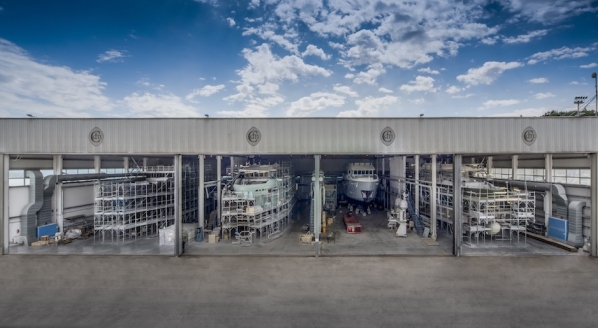 The sailing-yacht market is still dominated by a handful of established sailing-yacht builders: the only yards that have delivered more than five sailing yachts over the past five years are Southern Wind, Royal Huisman and Baltic Yachts. In contrast, over the same period, 22 yards have made only one sailing-yacht delivery. While this number of one-off builders is gradually decreasing as the market consolidates (the 2017 report showed that 28 builders had made only one delivery in the past five years), this statistic remains challenging for builders trying to maintain a steady flow of orders from fewer prospective clients.